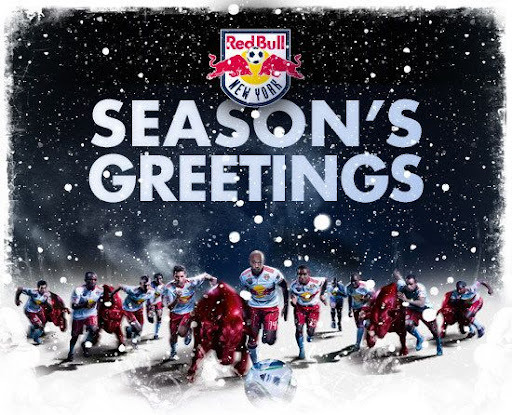 RBNY News & Notes: Happy Holidays! From all of us here at The Viper's Nest. I hope everyone got everything they asked Santa for this morning. If you didn't, well, join the club. But nevermind that, there's a few Red Bulls related items, from this past week, to dicuss. MLS home openers were announced this past week. The Red Bulls will open their season against Seattle, @The Cathedral of Football, on Saturday, March 19th, 2011. The Red Bulls will then travel to Columbus, for the Crew's home opener on Saturday, March 26th, 2011. You can click here for the complete list of MLS home openers. Kristian Dyer reports that the Red Bulls will offer a contract to their Academy product, midfielder Matt Kassel, currently a Junior at the University of Maryland. In the same article, Dyer reports that English forward Luke Rodgers will sign a two year contract, worth as much as $200k per year. Red Bulls defender Tim Ream and Red Bulls forward Juan Agudelo were, once again, called up by Bob Bradley for a three week January USMNT camp. The camp will culminate with a January 22nd game, @The Home Depot Center, against the Chilean National Team. Agudelo (along with another Red Bulls Academy product by the name of Sacir Hot) was also called up for a January U20 USMNT camp in preparation for the CONCACAF U20 Championship, which takes place in April. The Red Bulls are trying the pitch growth lights usually seen at European stadiums. These lights are used to keep the grass growing during months were the playing surface gets little light. Finally, Red Bulls midfielder Rafa Marquez made the cover of ESPN Deportes as one of their top 25 Latino players of the year. That's all for now. Merry Christmas and Happy Holidays!